Verbial Iconic Menu System is a fancy menu system with patterned background. This Menu system provides verbial icons to be placed with menu items. Verbial nature of icons provide rich interfacing which is attractive in nature.vims.dll provides NJBMenu ,Menu class .There are menus It can be in cascading or hierarchical style or menu can also hold Sub-Menu. VIMS for all mentioned types of menus provide following distinct features. VIMS is Menu which is rich in interface. VIMS provides customization as give options to the programmer to create and design a menu of his own choice.It’s a verbal representation of menu items that makes it more understandable. And attractive due to its graphical features.It’s a verbal representation of menu items that is understandable and self-descriptive for user. VIMS is rich in graphics, styling and coloring and formatting. It works on single click that lessens the additional fatigue of double click. VIMS different from others as it has patterned backgrounds, images and colors of user’s choice. It gives a new way in history and introduces a Menu system embedded in NotJustBrowsing® a worldwide browser. It will now open to the users to design their own Menus Change items as per own requirements. 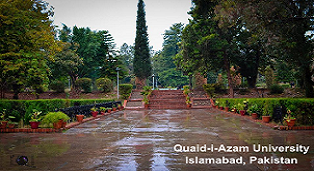 ©2015 Shermeen Kiran and Abdul Karim, Institute of Information Technology, Quaid-i-Azam University, Islamabad, Pakistan. All rights reserved.